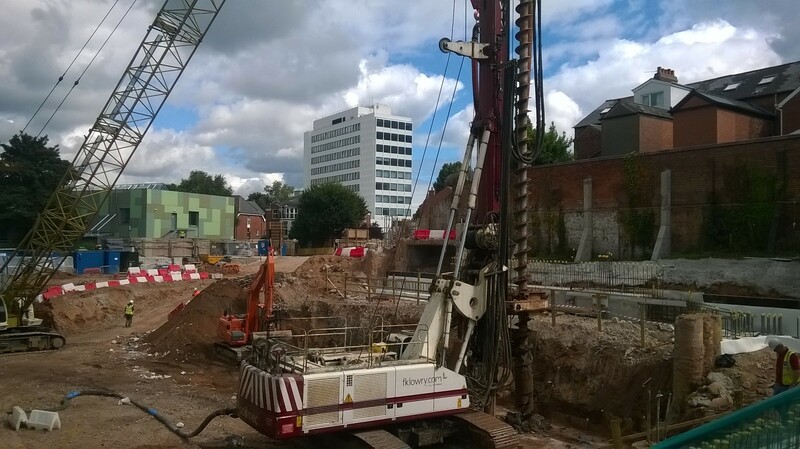 FK Lowry Piling have successfully completed the design and installation of Secant Walls and Bearing Piles for the new £39M Biological Sciences Building at Queens University, Belfast for local Contractor, O’Hare & McGovern. The 12 week project was valued at £1.1 million. 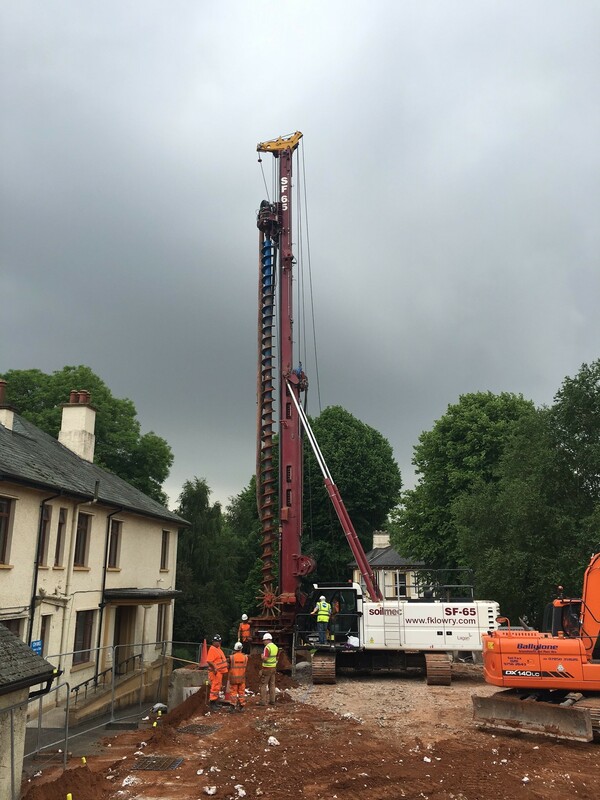 FK Lowry Piling were sub-contracted to design and install almost 200 linear meters of 600mm & 750mm diameter hard/firm secant and contiguous bored pile walls across 3 No. Levels on the steeply sloping site in South Belfast. As well as the permanent and temporary works, FK Lowry Piling installed almost 400 No. Bearing Piles through Loose Sands, underlain by Medium Dense to Dense Sands to depths of up to 23 Metres.